Children sleeping in their parent's room: I had strong opinions before I had kids. The results are now in. Prior to the birth of my daughter, I would argue that it was fairly bizarre and unwarranted to have have children sleeping in their parents' beds for any extended period of time. I expressed opposition to the idea that my children would be spending a significant portion of their sleeping hours in my bed or bedroom. I thought that making room for your child in your bed or allowing your child to supplant you from your bed was at the very least a little crazy. These statements were not made without reason. At the time I knew many parents who had their children sleeping in their beds or in their bedrooms for a significant proportion of their young lives. I knew many parents whose children slept in their beds through the ages of two, three, four, and even longer. I even knew of parents who installed their child's bed or a secondary bed in their own bedroom. I still know parents who do these things today. Like I said, I thought this was all a little crazy. "You just wait until you have kids." "Easy to say now when you don't have any children." "I can't wait until you are forced to eat crow." "Having your kid in your bed is unavoidable." Parents making these comments were often angry with me and outraged at my assertions. But not all. One friend - whose daughter slept in her bedroom until she was five years-old - said to me, "I know it's crazy to have her in our room. I know it's probably not great for her, and it's definitely not great for our marriage, but it's what I need to do." This is a person who I can respect. This was a mother who I could understand. We're all crazy in one way or another. We all do something in regards to parenting that is inadvisable, overprotective, and perhaps a little insane. Just own it. Acknowledge your insanity and people will understand your decision and even accept it. "I'm doing this kind of crazy thing, but I understand that it's probably crazy." Argue that your inadvisable, overprotective, slightly insane behavior is normal and perfectly fine, and that is when people will begin to question the rest of your decision-making and wonder what you could possibly be thinking. Since those days of my bold assertions and parents' angry retorts, I've had my kids. I've dealt with their sleep schedules. I'll determined (in partnership with my wife) the location of their sleep on a nightly basis. I have faced the same challenges of those parents who I questioned years ago. Today my daughter is seven years old. My son is four years old. Both of them slept in a cradle in our bedroom for the first two months of their lives in order to facilitate late night feedings. After two months, both children were transitioned to their own bedrooms. We trained them to sleep in their own beds by allowing them to "cry it out" for two or three nights. It was not easy, but it worked well. Both quickly became acclimated to sleeping in their own beds. Since then, Clara has slept in our bed three times: twice due to illness and once because of a hurricane. All of these were late night transitions from her bed to ours in response to the circumstances. 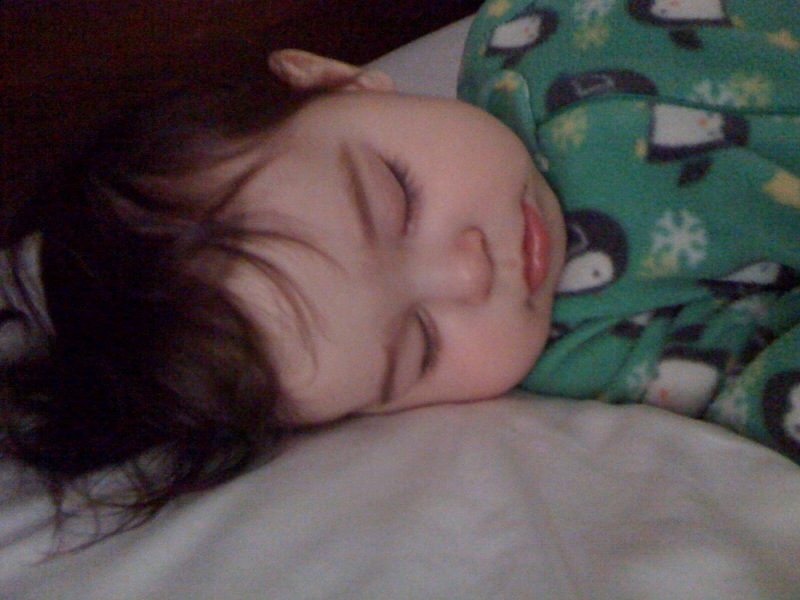 Charlie has also slept in our bed five times: three times due to illness and twice because of nightmares. In total, my children have spent less than one percent of their nighttime sleeping in our bed. In fact, there was a time a few years ago when Clara hit her head hard enough that the doctor asked that we wake her every hour to make sure that she was okay. We decided to have her sleep in our bed to make this process easier, but she refused. "You have your bed, Daddy, and I have mine." Or in the words of my generation: Bite me. Take everything that an experienced parent says with an enormous grain of salt, myself included. Our advice comes from the parenting of our unique child in our unique set of circumstances. No two children are alike. No two set of circumstances are alike. Parents love to generalize their child's behavior to all children. They love to assume that their struggles are universal. They love to think that their parenting style is applicable to all kids. Every parent is different. Every child is different. Every circumstance is different. This doesn't mean that experienced parents can't offer excellent advice. People come to me for parenting advice all the time, and I'm happy to oblige. Just don't assume that their word (or mine) is gospel. Don't assume that they know all. And just because you can't keep your child out of your bedroom doesn't mean that we all can't keep our kids in their own beds.